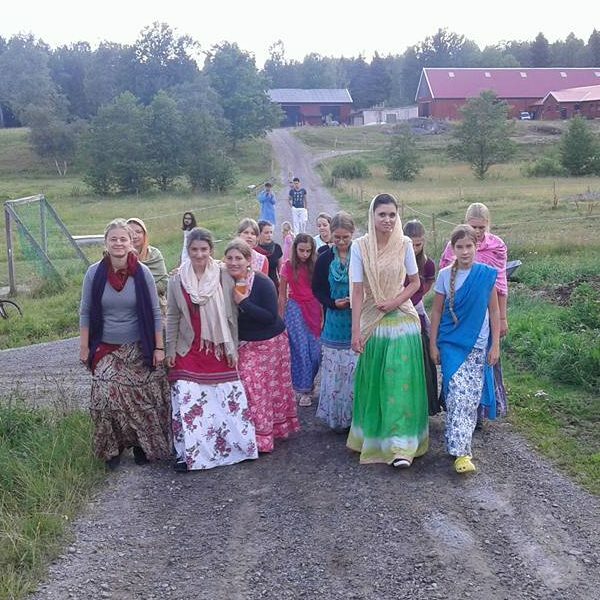 The first meeting of the project was in Almviks (Sweden), which is a rural community maintained by Swedish devotees of Krishna. 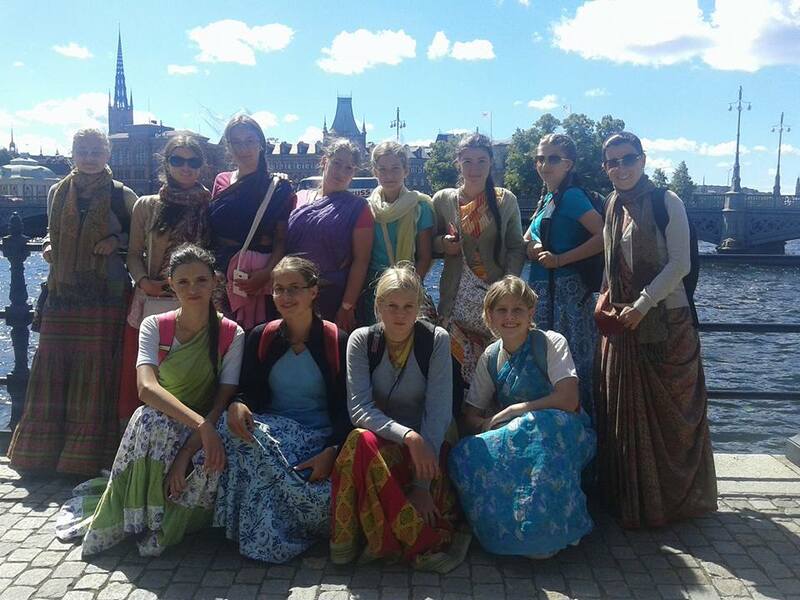 From Hungary ten teenage girls and two teachers went there to meet other youngsters from 4 other countries like Latvia, Slovenia, Spain and Sweden. On our first day after the arrival, we met most of the other participants and were shown to our accommodation facilities. After some short time we all went for a walking to see the farm. The landscape was beautiful, there were lots of children and young devotees walking or playing around. Funnily, contrary to Hungarian customs the Sun only set at 11 pm and it already rose at 3 am, which meant that we all had difficulties in going to sleep, because of the great difference in time-zone and the locality of the place. 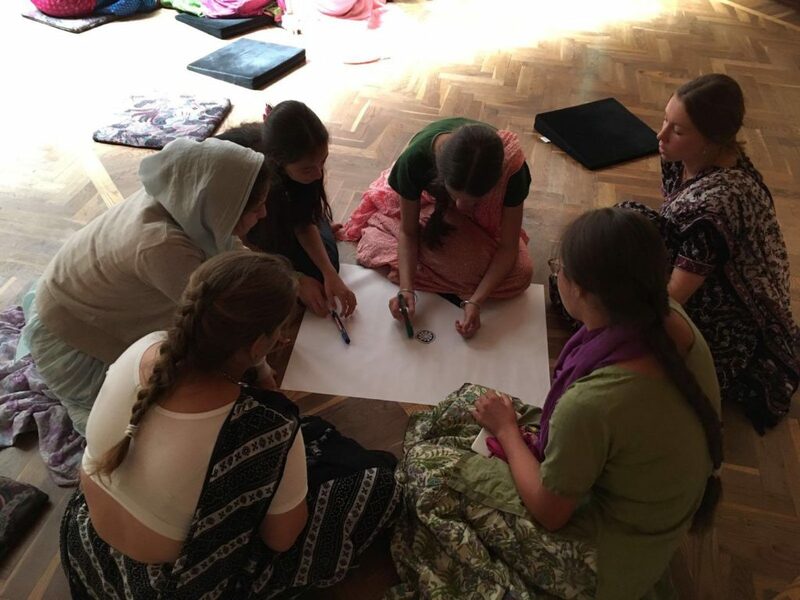 In the morning of our second day we created several groups with the youth and made Mandalas connected to the topics of sustainability. It was quite a serious work because the participants were from 5 different nations and the language of communication was English. After we completed our Mandalas, each group presented they own to the others explaining what they were describing. In the afternoon there was a lecture about “Youthpass” and the groups had a performance about the 8 competencies connected to Youthpass certificates. Although it was a serious task requiring cooperation, our girls did well in this activity, too. We also chose and put down our names to the workshops of the following days. On the third day we went to Stockholm for sightseeing. We travelled by train to the main city, which consist of several islands. After walking in the old town, we had lunch. In the afternoon we had a visit to Skanzen, which is a wonderful fairytale village, rich in exhibitions of the ancient Swedish culture and traditions. We also walked through the beautiful central park quickly because we had just a short time for that. The next day, the fourth day we had many workshops in the morning. I chose baking – entrepreneurship competency, i.e. we visited a bakery where the owner spoke to us about how she started and maintained her own company. 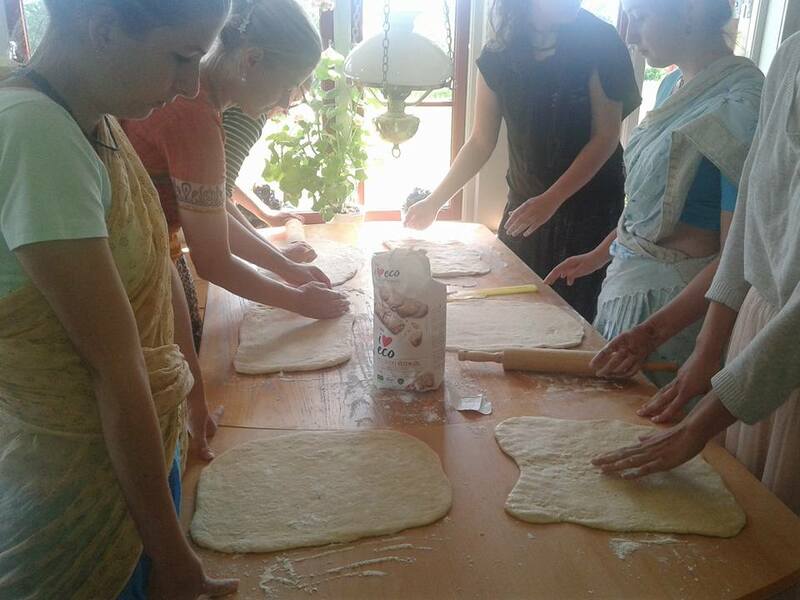 Besides that there were several workshops like football, flower-mandala, music, drama, yoga, jewellery, dancing, cow herding. There is a famous Swedish sweet called “kanelbullar” on the picture. 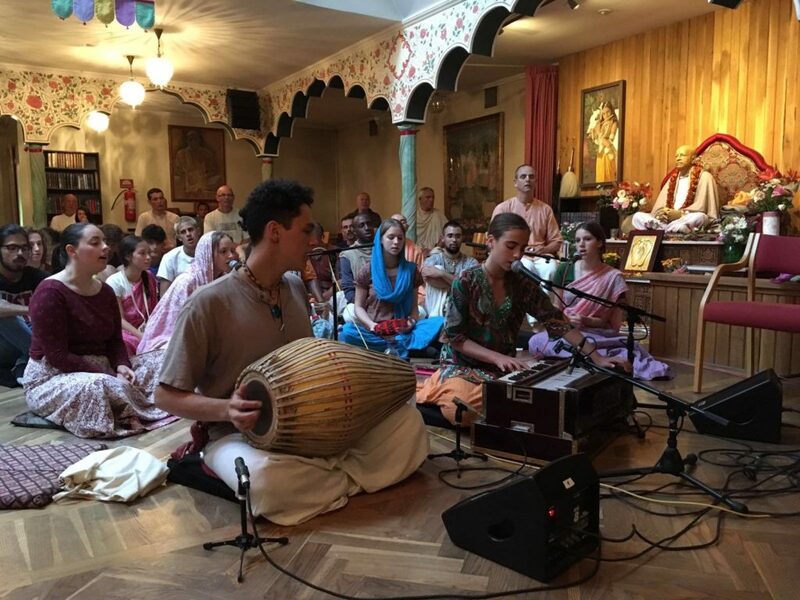 In the evening we had a program where the youth were playing music together. 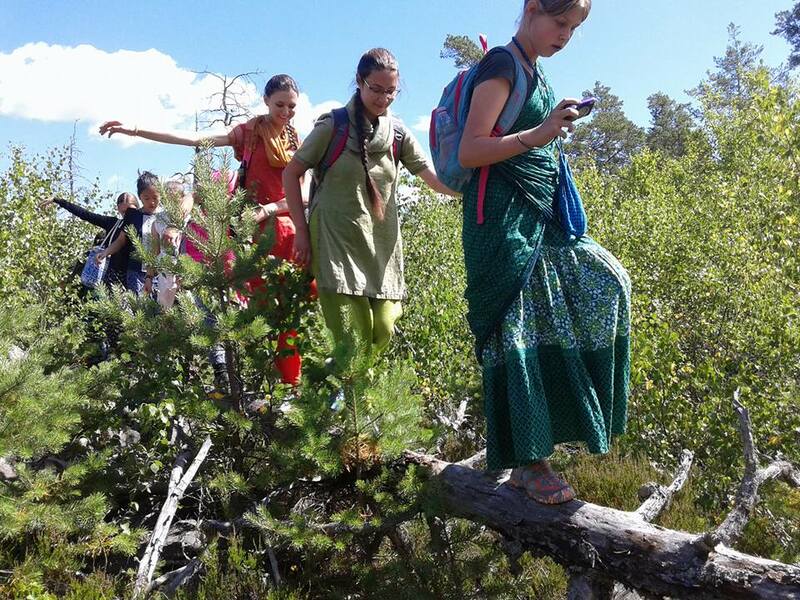 On the fifth day when the hosts said we will have an excursion to the forest, and I thought of a simple walk. Instead of that we had hiking, rock climbing, crossing tree trunks, going up the hill, the down to the valley. Exhausting. But the sight compensated for everything! And the whole forest was full of blueberries. We hiked from 11am to 5pm and during that time we stopped by a lake for swimming. It was a fantastic day! 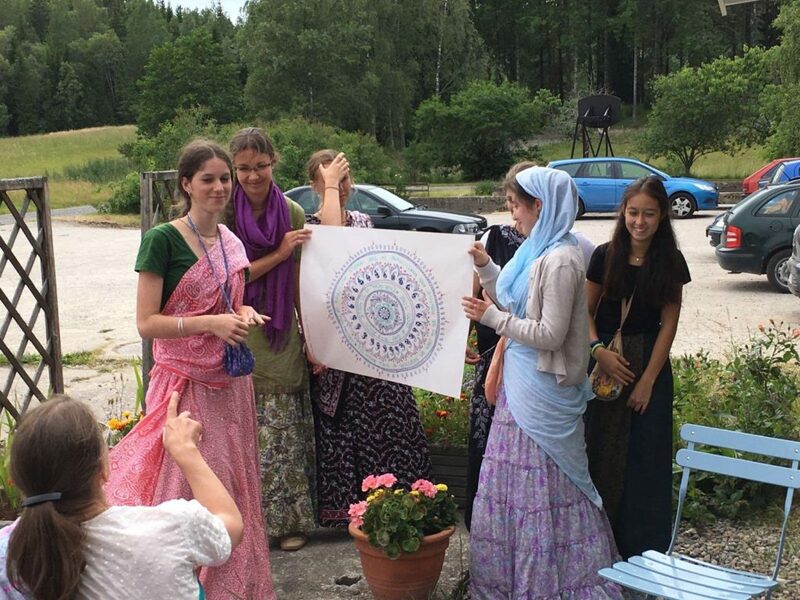 On the last day we had some workshops in the morning, where the youth painted, draw and made flower-mandalas. At noon we said goodbye to the rest of the group with a sad heart. The hosts and all of the participants were very kind to us and saw us off by singing and saying goodbye at the same time. We spent lots of nice days together with everyone, got lots of new experiences and made new friendships. Thank you all!